BJP has put jobs and urbanisation at the centre of its policy pitch as it seeks to oust the Congress-led government in a general election starting on April 7, two party sources told Reuters. 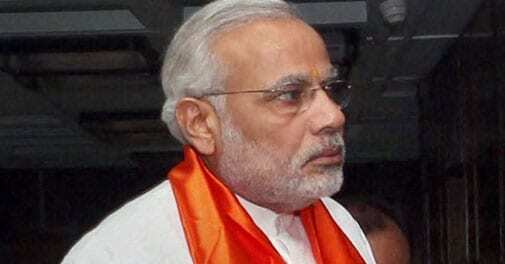 BJP' s Prime ministerial candidate Narendra Modi. Bharatiya Janata Party (BJP) would aim to create 250 million jobs over the next 10 years as part of an economic development programme that could create 100 new 'smart' cities, its election manifesto will say. "The manifesto's priorities, in this order, are jobs, investment, manufacturing and infrastructure," said one party official involved in drafting the document, which is expected to be released next week. The BJP, on course to win the largest number of seats in the five-week election, wants to tap into the aspirations of young people in a country where more than half of the population is under the age of 25. By contrast, the Congress party, which was due to unveil its own election manifesto on Wednesday, is running campaign ads that depict smiling artisans making bricks or weaving by hand - an appeal to its core constituency of poor voters. The BJP's candidate for prime minister , Narendra Modi, is also campaigning on his record of economic development running his home state, Gujarat, which on many metrics has performed better than the national average over the past decade. In other points, the BJP will propose introducing a general sales tax-seen as key to getting rid of a hodge-podge of existing levies to make tax collection more effective - and streamlining subsidies, a second source said. But the party is cautious about opening up so-called 'multi-brand' retail to foreign direct investors such as Wal-Mart Stores Inc. and Tesco, as this could pose an existential threat to millions of small traders that constitute a big voter constituency. "The domestic retail industry needs to be first made competitive before allowing foreign investment," the second source said.